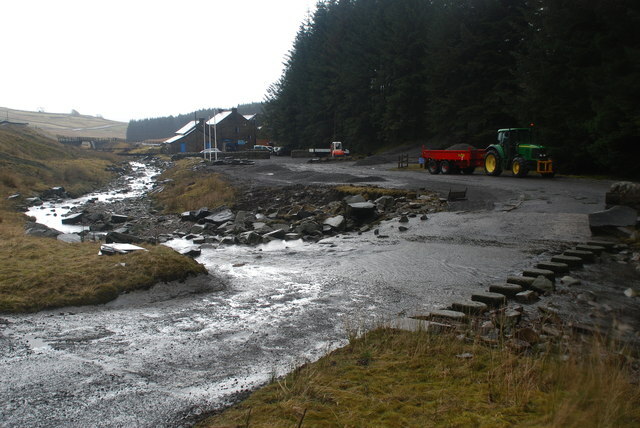 This ford is found in the entrance to the Lead Mining Centre at Killhope just off the A689. NY8243 : Killhope Wheel A recreation of the lead mine that was worked here from 1853-1910. The waterwheel that is a centrepiece was constructed in the 1870s. The site is now a prize-winning museum and hands-on education centre for children about 'times past'.